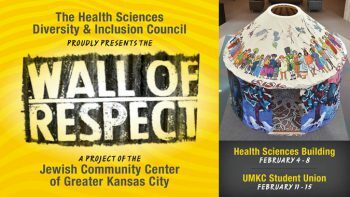 The Wall of Respect, a 12-foot yurt representing the diversity of cultures in Kansas City, is coming to the UMKC Health Sciences campus Feb. 4-8. Fifty-one years ago, a group of Chicago artists created a community mural called the Wall of Respect that revitalized the neighborhood in the city’s South Side. Last year, in the same spirit, Kansas City’s Jewish Community Center created its own Wall of Respect to celebrate the diversity of cultures in the community. 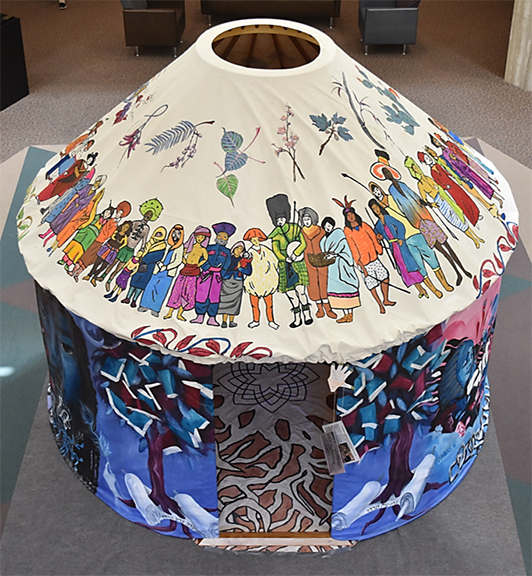 That project, a 12-foot yurt decorated by local artists, will be on display in the third-floor atrium of the UMKC Health Sciences Building for one week beginning Feb. 4. The following week, Feb. 11-15, the yurt will be set up at UMKC’s Student Union. A yurt is a circular tent typically made of felt or animal skins mounted on a collapsible frame. The local Wall of Respect project was decorated by artists representing the African American, Jewish, Asian American, Latinx/Hispanic and Native American cultures that enhance the diversity of Kansas City. Murals are painted inside and outside the yurt as well as on the roof. Tamica Lige is chair of the Health Sciences Diversity and Inclusion Council that is bringing Kansas City’s Wall of Respect to the university’s two campuses. The council is made up of representatives of the UMKC schools of Dentistry, Medicine, Nursing and Health Studies, and Pharmacy, Children’s Mercy, Saint Luke’s Health System and Truman Medical Center. Lige said cutout handprints will be available for visitors to decorate and hang inside the yurt to share their own ideas and stories of culture. Jill Maidhof, director of the Jewish Community Center, will lead a walking tour and give a presentation on the yurt at noon on Wednesday, Feb. 6, at the Health Sciences Building. The yurt display is coming to UMKC as a leadup to the Health Sciences Diversity and Inclusion Council’s annual Harmony Gala event on Feb. 16. 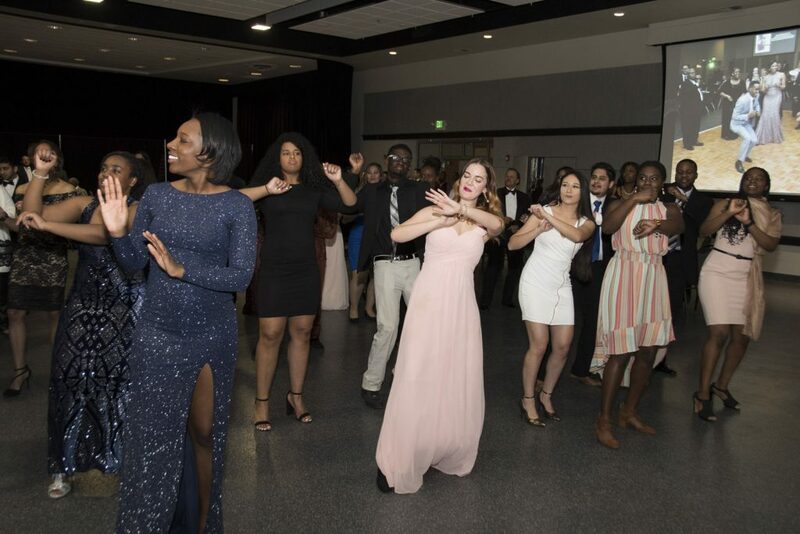 The annual dance event is a scholarship fundraiser for underrepresented minority students at the health sciences schools. Registration is still available online at umkcalumni.com/harmonygala. Lige said this will be the first time the yurt has visited UMKC. Mental health expert Altha J. Stewart, M.D., president of the American Psychiatric Association, will be the keynote speaker for the Dr. Reaner and Mr. Henry Shannon Lectureship in Minority Health on Feb. 22 at the School of Medicine. The annual Shannon Lectureship takes place each February to create awareness about health disparities. It has welcomed such distinguished national speakers as former U.S. Surgeon General Jocelyn Elders and former U.S. Secretary of Health and Human Services Louis Sullivan, as well as noted local leaders in minority health. Future and current physicians participated in the annual Critical Mass Gathering event on Oct. 13 at the UMKC Student Union. 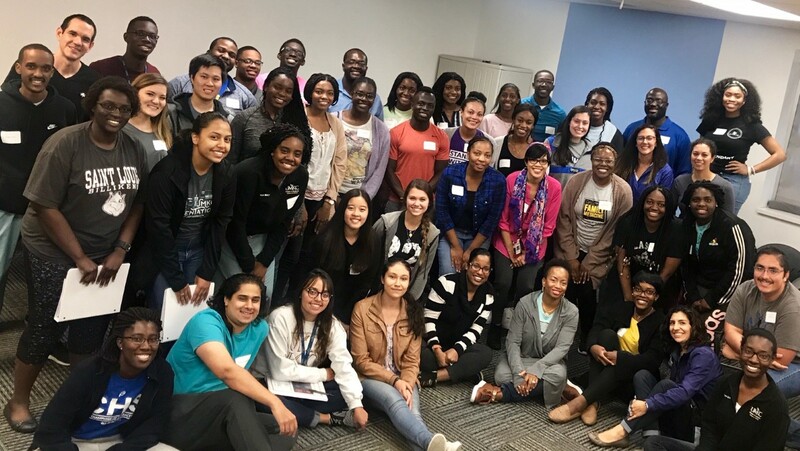 For more than a decade, underrepresented minority students in the Kansas City area eager for careers as physicians, have found encouragement at Critical Mass Gathering a free, day-long program to promote excellence and success in the field. Underrepresented minority students at Kansas City’s three area medical schools, UMKC School of Medicine, University of Kansas School of Medicine and the Kansas City University of Medicine and Biosciences, and those in the greater Kansas City area interested in pursuing a career as a physician participated in the annual event on Oct. 13 at the UMKC Student Union. This year’s program featured workshops such as strategies for medical students preparing to take medical licensing exams, scenarios of physicians in natural disaster and mass casualty events and one-on-one mentoring sessions with local physicians. Following a dinner, students heard a panel discussion on financing tips, residency interview techniques, and preparing for boards. Stephen Odaibo, M.D., founder and CEO of RETINA-AI, a company using artificial intelligence to improve health care, gave an evening keynote address about the impact of artificial intelligence on the future of medicine. 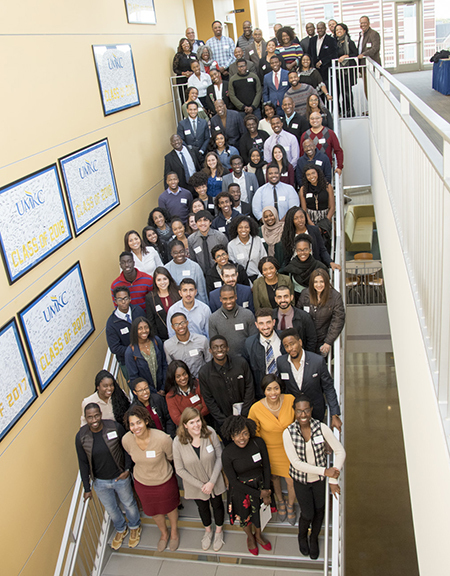 “Critical Mass Gathering has been providing mentorship for 13 years, which is an essential component of successful matriculation,” said Nate Thomas, UMKC School of Medicine associate dean for diversity and inclusion. The School of Medicine has been recognized by a national publication with a Health Professions Higher Education Excellence in Diversity award for its efforts in diversity. The University of Missouri-Kansas City School of Medicine has received a 2018 Health Professions Higher Education Excellence in Diversity (HEED) Award from INSIGHT Into Diversity magazine, the oldest and largest diversity-focused publication in higher education. The School of Medicine, renowned for its innovative six-year BA/MD program, is the only university program in Missouri and one of 10 medical schools in the country to be recognized. The award program is competitive each year; on average, 175 schools compete for the HEED honor annually. As a recipient of the Health Professions HEED Award — a national honor recognizing U.S. medical, dental, pharmacy, osteopathic, nursing and allied health schools that demonstrate an outstanding commitment to diversity and inclusion — UMKC School of Medicine will be featured, along with 34 other recipients, in the December 2018 issue of INSIGHT Into Diversity magazine. The School of Medicine recently received a $3.2 million grant from the U.S. Department of Health and Human Resources to expand and enhance its pipeline and mentoring programs across the schools of Medicine, Dentistry and Pharmacy. In 2016, the UMKC School of Dentistry was one of three dental schools in the that won a HEED Award. A new grant-supported program will allow the School of Medicine to expand its Summer Schools program for high school students and create new programs for undergraduate and graduate students from disadvantaged backgrounds. When it comes to attending and completing a health professions degree program, students from economically and educationally disadvantaged backgrounds typically succeed at a far lower rate than students from strong schools with thriving communities. The UMKC School of Medicine, in collaboration with the School of Dentistry and the School of Pharmacy, is working to change that with the aid of a recent five-year, $3.2-million grant from the United States Health Resources and Services Administration to support a partnership program designed to improve those numbers. Students in Training, in Academia, Health and Research (STAHR) Partnership is a two-pronged initiative to increase the number of students from disadvantaged backgrounds entering health care programs and better prepare them for success. It will continue to build up and expand on the medical school’s already successful high school Summer Scholars program and the dental school’s Admissions Enhancement Program. 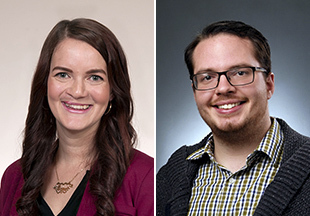 Undergraduate and graduate students admitted to UMKC health professions programs have the opportunity to participate in the STAHR Ambassador program, a research-based mentoring model that uses defined principles, known as the Thomas Principles, to retain and graduate students. Alice Arredondo, UMKC admissions director, also serves as assistant dean of admissions at the School of Medicine. A co-investigator on the grant proposal, Arredondo said students from disadvantaged backgrounds historically experience greater challenges entering and succeeding in health care fields. “This grant will allow us to support students in overcoming academic, economic and social barriers, while having an impact on the diversity in our educational environment and the success of students from disadvantaged backgrounds in the UMKC health sciences,” she said. Nate Thomas, School of Medicine associate dean for diversity and inclusion and co-investigator, said he and Arredondo used research-based best practices for admissions, retention and graduation and work already being done at the schools of medicine, dentistry and pharmacy as a basis for their successful grant request. He added that the medical school’s quickly growing student research program played an important role. Academic preparation and resources are lacking for many students in the Kansas City region who are interested in entering the health professions. The STAHR program is designed to address those needs and introduce students from underprivileged backgrounds to careers in health care that would otherwise seem out of reach. “This partnership will allow us to help students develop academically, psychosocially, professionally and as leaders who can have a positive impact on the workforce and their communities,” Thomas said. The Scholars Summer Program will offer different tracts for high school and current college students. 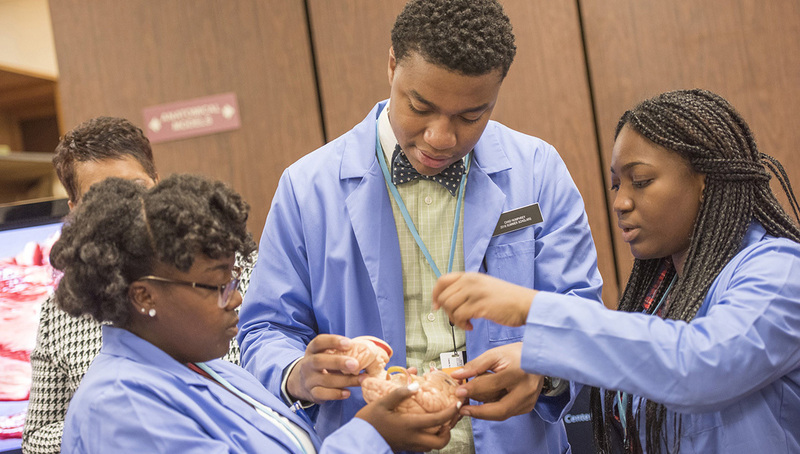 The high school program will expand the medical school’s Summer Scholars program that began in 1980 for students to explore career opportunities in health care and prepare them to enter and succeed in college. The grant allows this program to extend from two to six weeks, and provides increased focus on recruiting and retaining students interested in health care fields. The undergraduate program will also be six-weeks and with increased experiences in a clinical setting, supplemental instruction in the sciences, research opportunities, and reinforced skill development to support student academic progression and retention. The year-round Ambassador Program for undergraduate and professional students will focus on student development. A tiered cluster mentoring framework with faculty members, residents, practitioners and upper-class college students, provides leadership and career development to further prepare younger college and professional students for success in post-graduate residencies and the health professions workforce. “By providing students early access to hands-on programming and mentoring, we are focused on preparing students to achieve success in college and, eventually, graduate or professional school and the workforce,” Arredondo said. Patricia Marken, Pharm.D., F.C.C.P., associate dean for student affairs at the School of Pharmacy, said the grant supports programs that will help produce health care professionals that are in demand. HRSA highlighted the collaborative partnership between the schools as a strength. “I am really excited about the inter-professional opportunities for our dental and dental hygiene students to build relationships with students pursuing other health care careers,” Melanie Simmer-Beck, professor and director of the School of Dentistry Admission Enhancement Program, said. The School of Nursing and Health Studies, while not part of the funding proposal, did help in framing the initial steps of the grant, Thomas said. It does offer similar federal-grant funded programming for high school and college students, including KC HealthTracks, providing mentorship and programs for more than a dozen area high schools.